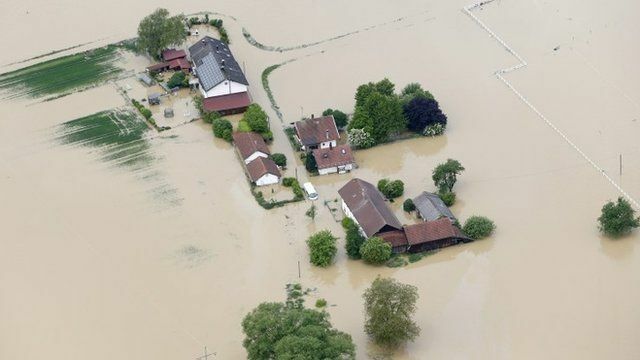 Five drown at home in Europe floods Jump to media player Heavy rains across Europe have left at least 10 people dead, most of them in Germany. Five drowned in their own homes on Wednesday in Bavaria and central France. Dozens of towns have been inundated and forecasters say water levels are expected to keep rising for several days.